Expansive views and natural light make the surrounding cityscape a part of everyday life. Each home’s ample, airy layout integrates modern simplicity with cutting edge finishes and exclusive details, including engineered wood flooring and bespoke lighting. 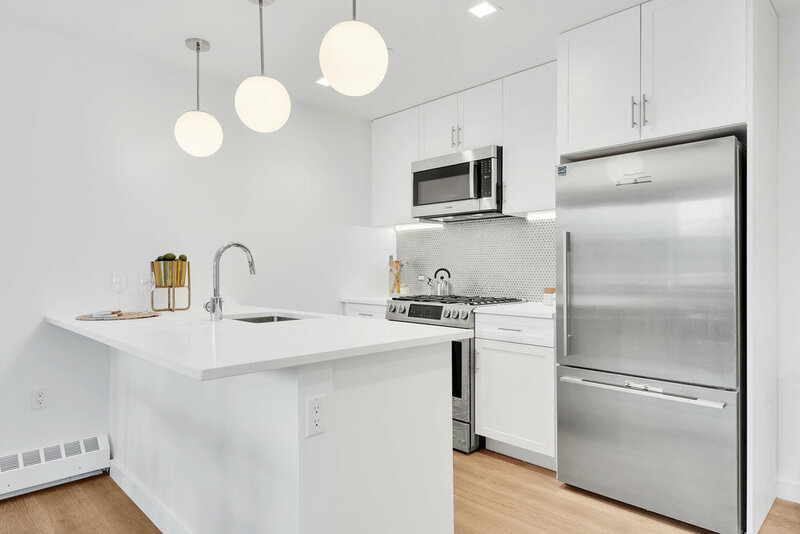 The well-appointed kitchens stand out with granite countertops, Fisher & Paykel refrigerator, and Bosh range, microwave and dishwasher. The serene bathrooms are outfitted with Grohe fixtures, Kohler bathtubs and Nemo tile. BRiQ offers desirable amenities for your convenience and ease. Amenities include two outdoor common areas to enjoy, along with an indoor lounge, a one-of-a-kind expansive lobby, virtual doorman, and bike storage. A package room will conveniently hold your items.